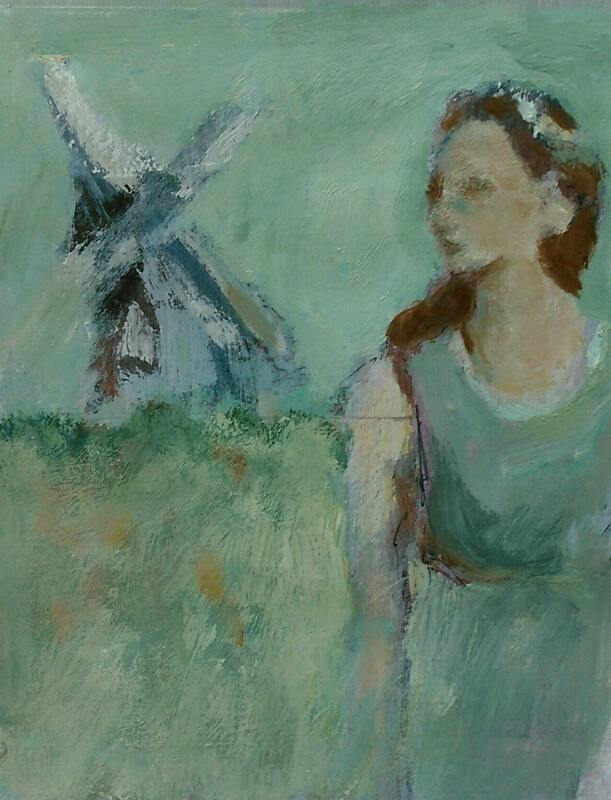 Woman and windmill, in a faraway place or time; the final painting in a series capturing this moody, atmospheric scene. Matted, framed and ready to hang. Framed size approximately 8 x 10 inches.